Sold by eBellaFlora and Fulfilled by Amazon. Gift-wrap available. 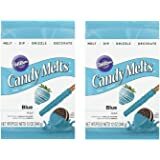 Amazon's Choice for "blue candy melts"
Sold by eBellaFlora and ships from Amazon Fulfillment. 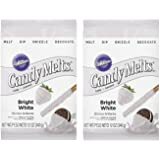 The most delicious treat is the kind you create yourself, and Wilton candy making essentials make it a fun and easy activity whether you’re a beginner or a more experienced candy maker. 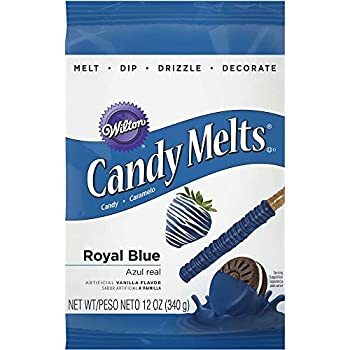 From dipping to dunking and drizzling, Wilton Candy Melts candy come in all sorts of fun colors. 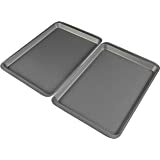 We also have a wide variety of candy molds and other tools so you can create themed treats for any occasion. Homemade candy makes a great gift, and it’s a fun way to spend time together when you’re looking for an easy and tasty activity to do with the kids! 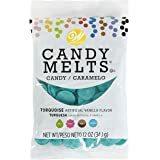 Make these fun cookies with Candy Melts candy and our Candy Colors—food coloring made specifically to use with our Candy Melts! 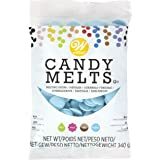 Just melt Bright White candy in our melting pot, and add a few drops of blue and green. Swirl slightly, then, place your favorite sandwich cookie on a cooling grid and pour melted candy on top. 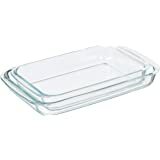 Tap to smooth and remove air bubbles, then chill to set about 10 to 15 minutes. You’ll have beautiful candy swirl cookies in no time at all! 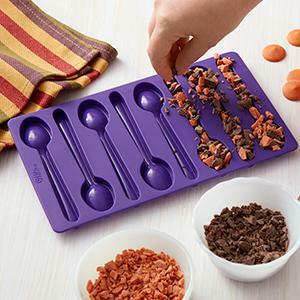 These candy spoons are super simple to make and add a ton of tasty flavor to your favorite hot chocolate or coffee beverage. 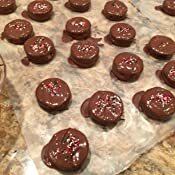 Just chop 2 ounces of Pumpkin Spice and Chocolate Candy Melts candy, place them in the spoon mold, then microwave according to package directions. Chill for about 40 minutes, then carefully remove them from the mold. Serve with your favorite hot beverage for delicious, melty flavor. 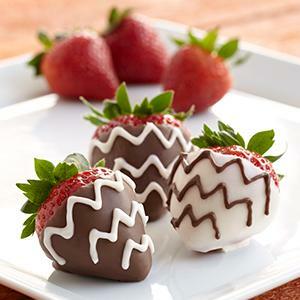 These strawberry treats are easy to make, but sure to impress. 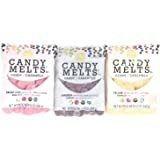 Just melt your Candy Melts candy according to the directions, then dip in your strawberry. 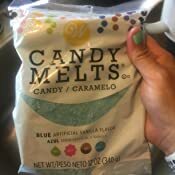 Chill until set, then drizzle with another delicious Candy Melts flavor. 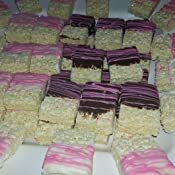 Great to serve at a party or any time friends and family crave something sweet. 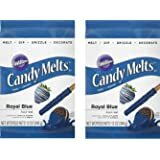 This item Wilton Blue Candy Melts Candy, 12 oz. 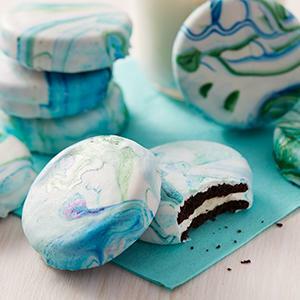 The sweet possibilities are endless with these easy-melt vanilla flavored blue wafers. 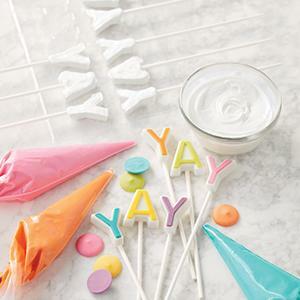 Use them to dip strawberries, drizzle them on pretzels or mold into shaped candies. 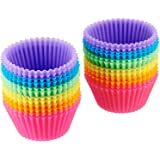 They can also be used to decorate cakes, cookies and cupcakes, because everything's better when it's covered in candy. 4.0 out of 5 starsVery finicky to use, but can't find anything like it that works any better. Make sure you run the microwave on half power the whole time you are melting these. There is supposedly another product you can buy to make the candy thinner and runnier so that dipping is easier, but I've never tried it. I can usually get just under 20 cake pops from one bag of melts. Candy simply would not melt. I followed advice to add some oil to thin and it completely seized up and hardened. Thought I'd have to throw the whole bowl away too! One of those annoying items where you can't return it because you've used it up (though it's total garbage). Money down the drain. I did see the mixed reviews and took a chance because I needed it for my daughter's birthday party. Ended up making last minute run to the store to buy premade icing that I made purple with food coloring--should have done that in the beginning! These are ok if you need a last minute melt that you can’t find in a local store. (Red is always sold out in my local stores around any holiday!). However, this turns out a muted vintage brick red rather than a bright fire engine red. Also, they have a slight wax taste to them. Wish I could give this a good review. Melts pretty good but I did not like the taste. Tasted too artificial and not like white chocolate. 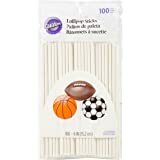 You are better off buying more expensive white chocolate, real white chocolate for candy making or cake decorating. 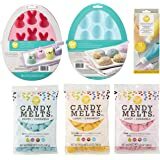 Easy to melt and results in shiny candy (I used a silicone mold). The only negative is just how artificial the candy tastes. I tried adding my own vanilla extract, but it changed the texture. 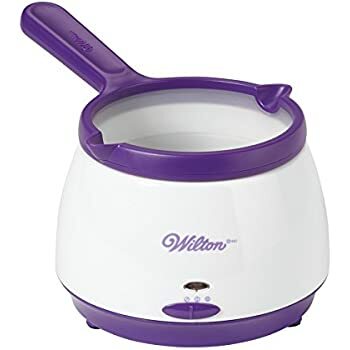 Still worked okay, but for next time I might check out Wilton's flavor oils. 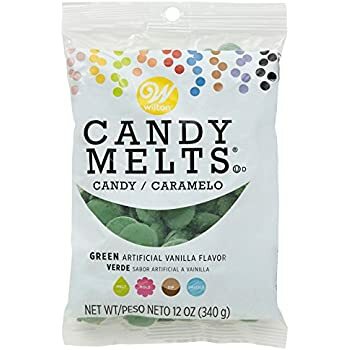 These candy melts do the job, they're a fine product. 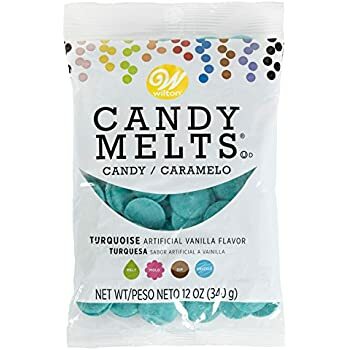 The color was exactly the same melted as what you see in the bag, which I appreciated. My only complaint is they're pretty thick even when fully melted. I was making cake pops and it was tough to dip something in this without leaving too thick a coat of candy on the item. 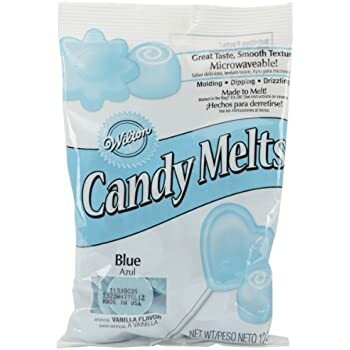 I love Wilton's melts. They melt beautifully in the microwave. I melt them in 30 second intervals. 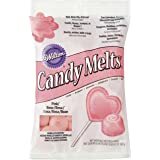 I ordered these pink ones by mistake but they are perfect for Valentines Day and they will stay fresh forever!